Dialectic (also dialectics and the dialectical method) is a method of argument for resolving disagreement that has been central to European and Indian philosophy since antiquity. 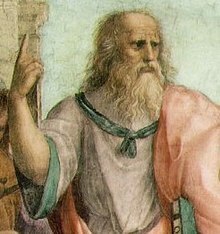 The word dialectic originated in ancient Greece, and was made popular by Plato in the Socratic dialogues. The dialectical method is discourse between two or more people holding different points of view about a subject, who wish to establish the truth of the matter guided by reasoned arguments. Every careful method consists of two parts: one of inventing and one of judging. The Stoics have developed with great diligence the ways of judging, and that by means of the science they call dialectic; the art of inventing, which is called topic, … they have completely neglected. We must not think of the problem in terms of a choice between being determined and being free. We must look at it dialectically, and say that man is indeed determined, but that it is open to him to overcome necessity, and that this act is freedom. Freedom is not static but dynamic; not a vested interest, but a prize continually to be won. The moment man stops and resigns himself, he becomes subject to determinism. He is most enslaved when he thinks he is comfortably settled in freedom. A law which excludes all dialectic and all reconciliation; which establishes, consequently, both the flawless unity of knowledge and the uncompromising division of tragic existence; it rules over a world without twilight, which knows no effusion, nor the attenuated cares of lyricism; everything must be either waking or dream, truth or darkness, the light of being or the nothingness of shadow. What Kant regarded as a unique (Copernican) turn to transcendental reflection becomes in Hegel a general mechanism for turning consciousness back upon itself. This mechanism has been switched on and off time and time again in the development of spirit. As the subject becomes conscious of itself, it destroys one form of consciousness after another. This process epitomizes the subjective experience that what initially appears to the subject as a being in itself can become content only in the forms imparted to it by the subject. The transcendental philosopher’s experience is thus, according to Hegel, reenacted naively whenever an in-itself becomes a for-the-subject. What Hegel calls “Dialectical” is the reconstruction of this recurrent experience and of its assimilation by the subject, which gives rise to ever more complex structures. … Hegel, it should be noted, exposes himself to a criticism. … Reconstructing successive forms of consciousness is one thing. Proving the necessity of their succession is quite another. Socrates splits himself into two, so that there are two Socrates: the Socrates who knows in advance how the discussion is going to end, and the Socrates who travels the entire dialectical path along with his interlocutor. No criticism can be brought against a branch of technical science from outside; no thought fitted out with the knowledge of a period and setting its course by definite historical aims could have anything to say to the specialist. Such thought and the critical, dialectical element it communicates to the process of cognition, thereby maintaining conscious connection between that process and historical life, do not exist for empiricism; nor do the associated categories, such as the distinction between essence and appearance, identity in change, and rationality of ends, indeed, the concept of man, of personality, even of society and class taken in the sense that presupposes specific viewpoints and directions of interest. Dialectical logic is loyal to the contradictions, not by the reasoning of “on the one hand and the other” but by tracing the contradictions to their fractured source. Instead of ideologically synchronizing contradictions, or assigning them to separate halls of the academy, critical theory seeks to articulate them. Dialectics and reflection play the same role for the philosopher as does verse for the poet. This organization of functional discourse is of vital importance; it serves as a vehicle of coordination and subordination. The unified, functional language is an irreconcilably anti-critical and anti-dialectical language. In it, operational and behavioral rationality absorbs the transcendent, negative, oppositional elements of Reason. Such dialectical relation of opposites in and by the proposition is rendered possible by the recognition of the subject as an historical agent whose identity constitutes itself in and against its historical practice, in and against its social reality. The discourse develops and states the conflict between the thing and its function, and this conflict finds linguistic expression in sentences which join contradictory predicates in a logical unit—conceptual counterpart of the objective reality. In contrast to all Orwellian language, the contradiction is demonstrated, made explicit, explained, and denounced. In the Platonic dialectic, … the terms “Being” “Non-being” “Movement,” “the One and the Many” “Identity” and “Contradiction” are methodically kept open, ambiguous, not fully defined. They have an open horizon, an entire universe of meaning which is gradually structured in the process of communication itself, but which is never closed. The propositions are submitted, developed, and tested in a dialogue, in which the partner is led to question the normally unquestioned universe of experience and speech, and to enter a new dimension of discourse—otherwise he is free and the discourse is addressed to his freedom. He is supposed to go beyond that which is given to him—as the speaker, in his proposition, goes beyond the initial setting of the terms. These terms have many meanings because the conditions to which they refer have many sides, implications, and effects which cannot be insulated and stabilized. 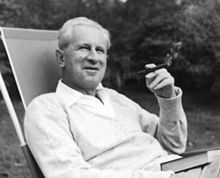 The contemporary mathematical and symbolic logic is certainly very different from its classical predecessor, but they share the radical opposition to dialectical logic. In terms of this opposition, the old and the new formal logic express the same mode of thought. it is purged from that “negative” which loomed so large at the origins of logic and of philosophic thought—the experience of the denying, deceptive, falsifying power of the established reality. And with the elimination of this experience, the conceptual effort to sustain the tension between “is” and “ought”, and to subvert the established universe of discourse in the name of its own truth is likewise eliminated from all thought which is to be objective, exact, and scientific. For the scientific subversion of the immediate experience which establishes the truth of science as against that of immediate experience does not develop the concepts which carry in themselves the protest and the refusal. The new scientific truth which they oppose to the accepted one does not contain in itself the judgment that condemns the established reality. … In contrast, dialectical thought is and remains unscientific to the extent to which it is such judgment. The really fundamental aspect of the dialectic is not the tendency of the finite category to negate itself but to complete itself. The internal or dialectical critique of received opinion does not take place in a single stroke, but in a series of successive approximations to the truth, each of which will seem in its time to be the final one. The student must not be encouraged to race through these stages to the end, but on the contrary to settle down and live with each for a while, so that he has the time to truly take it in and absorb it—and to allow it to transform him. Our lives do not change as quickly as our thoughts. If the student tries to move too fast, he leaves his life behind, and his thinking becomes purely intellectual. He ceases to believe what he thinks and think what he believes. Tempo is everything. Prematurity—showing the student more than he is ready to understand or digest at the moment—is the great wrecker of educations. As Rousseau remarks in Emile, “never show the child anything he cannot see.” Again: the child “must remain in absolute ignorance of ideas … which are not within his reach.” (1979, 183, 178). I am not only convinced that what I say is false, but also that what one might say against it is false. Despite this, one must begin to talk about it. In such a case the truth lies not in the middle, but rather all around, like a sack, which, with each new opinion one stuffs into it, changes its form, and becomes more and more firm. In dialectic the student … will get training in thinking, whereas the best that he gets now is a vague admonition to think for himself.